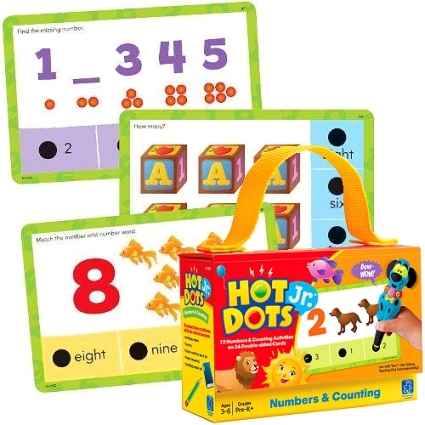 Includes: Number words and sequencing. Simply touch the interactive pen to a Hot Dot and the Talking Hot Dots? Pen responds instantly with a green light and positive sounds. Incorrect answers receive a red light and a gentle wrong sound or phrase. 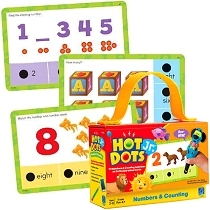 This set of 36 colourfully illustrated cards provides 72 early learning activities in a handy storage carry case.